Kentucky-raised Eddie Montgomery and Troy Gentry of the duo Montgomery Gentry, whose hometown-proud hit "Where I Come From" is currently headed to the top of the music charts, showed support for the Road to Fame competition through an exclusive video message supporting the competition (Click Here to View Video Message). "That guy that we went to see at the local honky tonks…Man! That was your hero!…local celebrities like Greg Austin, Larry Redmon, Patty Loveless, Bill Monroe, Opry member John Connolly, Keith Whitley and Billy Ray Cyrus." reminisced Montgomery Gentry. "Charlie Crow that played with Brooks & Dunn, a couple of our buddies that played with the Oak Ridge Boys…there were a lot of musicians as well (not just entertainers, as far as the singing aspect of it) around the Kentucky area that came down here and were able to pick up jobs playing with other artists in Nashville," stated Eddie Montgomery. "We had a lot of entertainment and a lot of people to go see that we looked up to and chased down to see if we can get up on stage," added Troy Gentry. "Now, going back home and driving around, it seems like a lot of those opportunities aren't there anymore. A lot of those clubs moved to line dancing which pushed a lot of those musicians and entertainers and bands out. " "We support (sic) The Country Music Highway Road to Fame and you should too," added the duo. Country Music Hall of Fame member Tom T. Hall, who was born and began his career as a singer and songwriter along the Country Music Highway, also showed support through a written message and prerecorded video after previously helping to launch both the Country Music Highway "Road to Fame" competition and "Arts Education Fund" with Kentucky Governor Steve Beshear, Tour SEKYand committee members from the state capitol on January 31—both initiatives created to increase interest and provide support for aspiring talent and country music heritage in Eastern Kentucky. Representatives from the Allen Central Middle School and South Floyd Middle School music programs were each presented with checks of $500, marking the first of four Road to Fame Arts Education Fund donations to be made to provide monetary support to struggling music and arts programs in Eastern Kentucky schools. 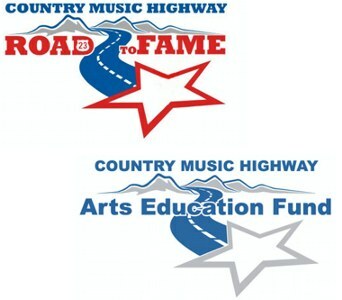 "The fact that the Road to Fame Arts Education Fund is already supporting music programs in Eastern Kentucky schools, prior to the beginning of the Road to Fame competition, which will generate additional funds, shows great promise for both initiatives," said Bernard Porter, Road to Fame Developer. "I look forward to seeing what opportunities in the area will arise because both of these programs are being put into place." ***Registration will begin two hours prior to the start of each audition. The grand prize winner will receive a ‘scholarship' to participate in a course of career development and coaching under the direction of PCG Nashville, valued at $25,000.00, will act as an ambassador representing the "Country Music Highway" at various events throughout the year and will help promote the 2013 Road to Fame competition. Contestants will be judged by Music Row executives Bernard Porter, Molly Smith and Mike Harris with over 50 years collective entertainment experience in career development, creative consulting, and vocal consulting.